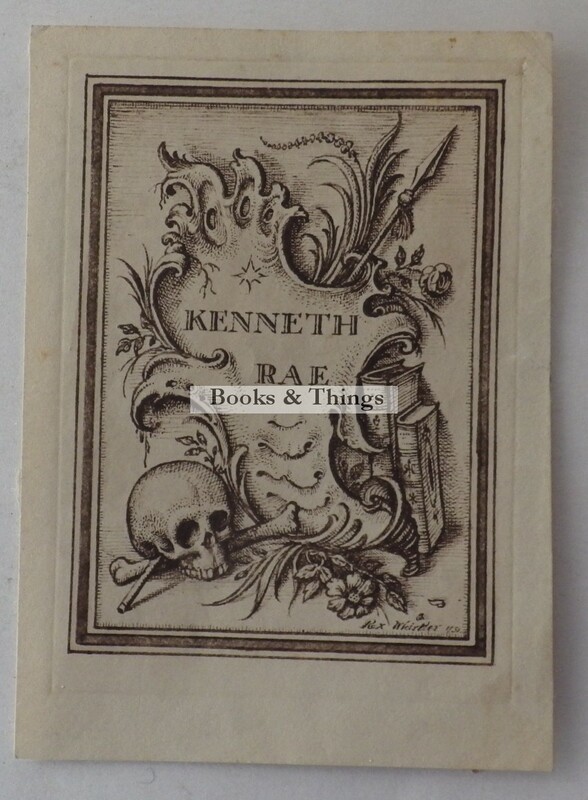 Rex Whistler: Bookplate for Kenneth Rae 1931. 115 x 85mm. Some paper residue on back. Brian North Lee: Bookplates of Rex Whistler no.5. Category: Bookplates. Tag: Rex Whistler bookplate.